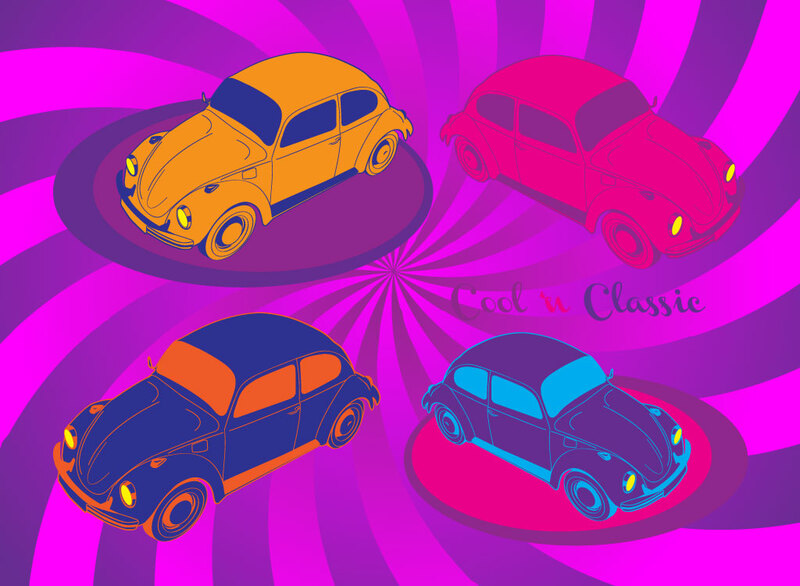 Download these cool Volskwagen beetles for your personal or car based designs and illustrations. The VW bug has been symbolic for the 60's and 70's and associated with hippies and surfing. These cars are classic and have a look and vibe all their own. Tags: Auto, Beetle, Bug, Car, Rear Engine, Small, Volkswagen, Vw.